Lately I have been changing this site, but I didn’t want to leave out my very first post I made in 2011, so I think it can stay here. 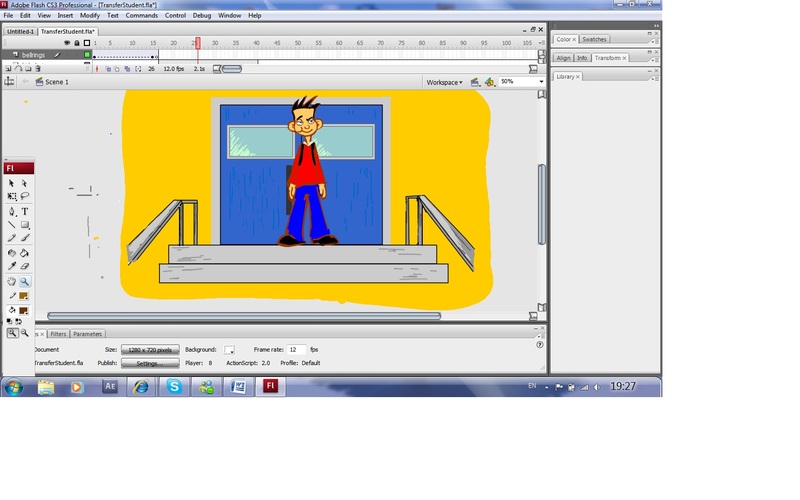 03.02.11.The start of my 2nd year film in Flash. It took quite a while to make sure the plot fits in the short 1.30 min, but after all the cuts and edits the production has started. I’m not sure how it will turn out, but it will be fun working on it. 11.02.11.The small intro of the main character Roy, who is sent ot a new school (every day), he is watching over the playground during recess and goes down the steps. Notice the coulours of the kids in the background. These colours are representing individual social groups who play a role in most schools. Seriously, I cant stand using a normal tablet and staring at the monitor. This is not only frustrating, but also isnt accurate to draw. I know people who got used to it, but nothing can replace paper for me, thats why I got Cintiq, which is the closest to traditional drawing style. 24.02.11.The better view of the group is seen from Roy’s profile view. the nerds, goths and jocks are seen minding their own buisness. It’s supposed to be a pan, so the camera follows Roy all the way through. Flash isnt completely useless, in fact its really good at making inbetweens and thats what I love the most about it. The tween options are also helpful for many things, especially for my individual project, where theres lots of drawings needed, but theres noone to draw them. 04.03.11.As Roy passes by the bully group, Rex, the group leader spots the new kid. Rex takes off his bag to pull an emo kid from it and throws the child at Roy. 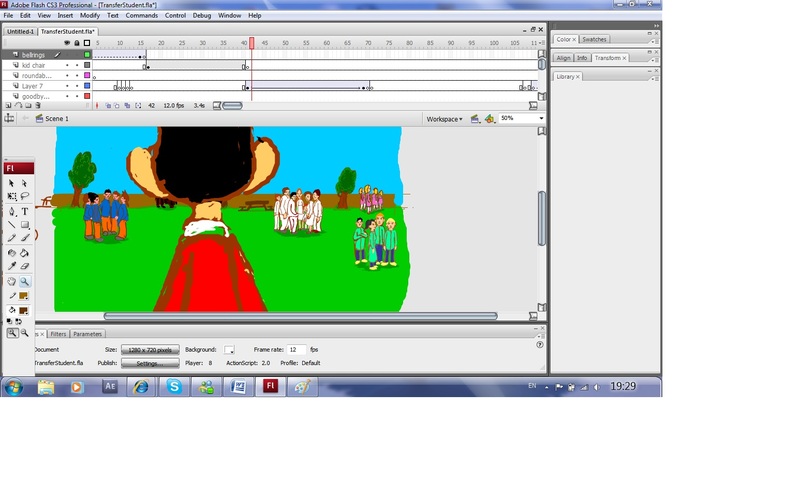 I started colouring the scenes and characters while animating at the same time, which I shouldnt be doing. I think it gives me more developing ideas as I experiment with different things along the way. Thats the freedom you get when working alone on a project! Right after I got Cintiq I finished all the keyframes in a week. Still, now that I have the tools, I need the brains to use them. Animating loads of kids at once isnt easy, they all have different clothes and faces…who wouldhve thought!The good thing though is that I dont need to redraw same bullies in every scene, since theres a whole pack of them, so creating a new one for each scene is fun. 11.03.11.The whole concept for the film came from Jet Set Radio music, I was inspired by the rule-breaking world and I thought it would be perfect to animate. Yes, the main character is an anarchist! 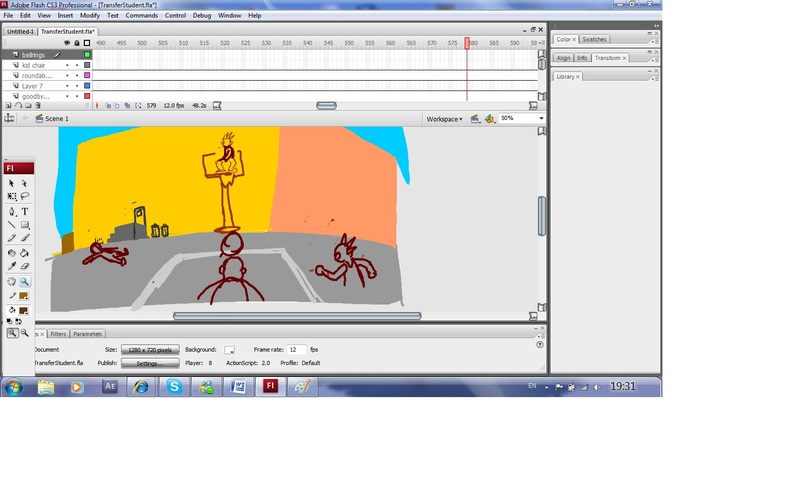 The basketball court scene is animated with music and everthing is fast-paced and energetic. Remember not to wink when watching this! 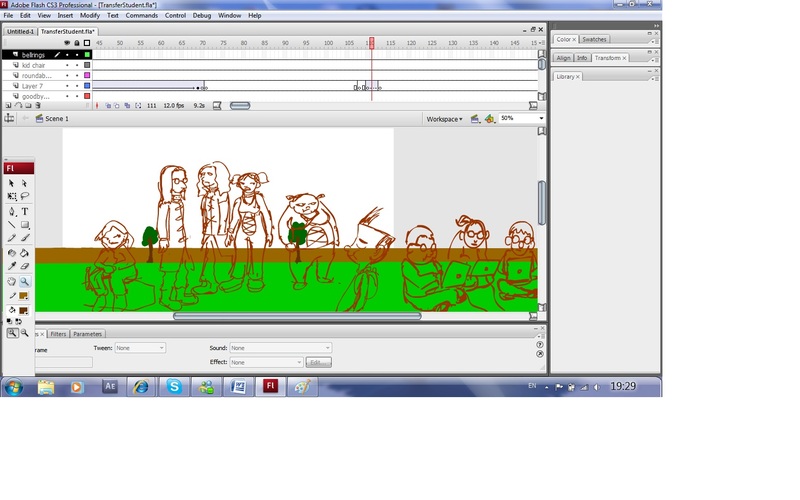 20.03.11.I got all the keyframes done, but now theres gonna be hours and hours of inbetweening and colouring. Now that the holidays are coming, Im planning to spend all the time on this film. 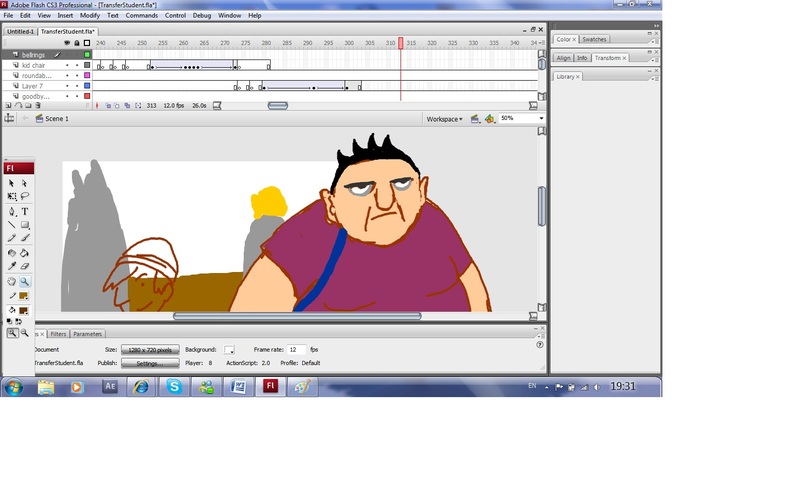 But some trouble might come when I start using sound effects, and I also need to record voices of 3 people. I notice that the whole project is more like a comic book, so if it succeeds Im going to make Transfer Student into series. There, now this post is safe and sound. 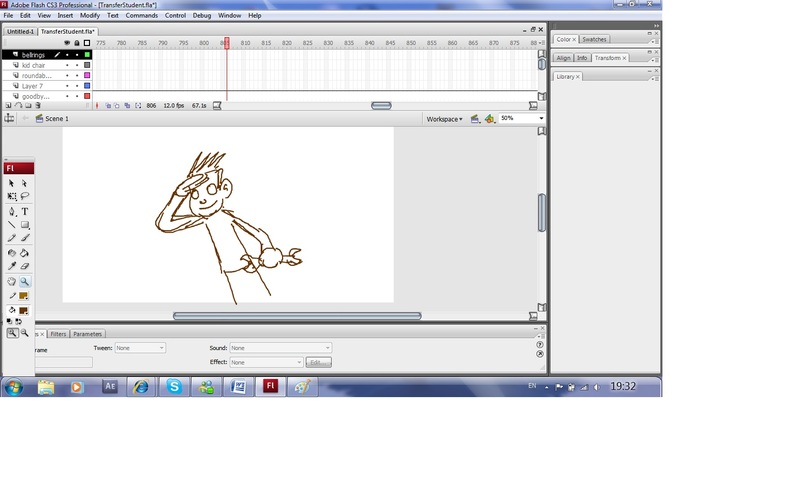 This entry was posted in Stuff and tagged 2D, animation, cartoon, Roy, Transfer.Student by anto0n. Bookmark the permalink.